I am the proud recipient of a new "InstaPot" - the multipurpose 7-in-1 cooker that is a Slow Cooker, Pressure Cooker, saute, rice cooker, braise, and lord only knows what else it can do, smart-brained electronic. I've made a few things in it since it came into our house at Christmas. Steel Cut Oats; Mulit-grain brown rice; Pork loin with apples, onions, sauerkraut and black-eyed peas (for the New Year). 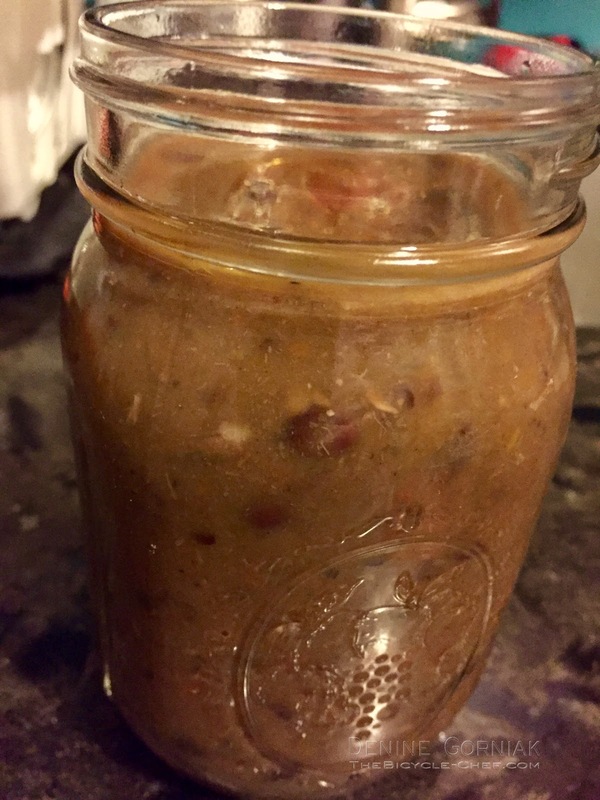 and, a little bragging here - a batch of Vegan Black-bean Soup, It was a success, after a bit of tweaking. The soup definitely has gotten better as its "aged" the past two days. The only issues I had w/making this batch of soup were - it was too watery, as I used too much water in the batch. That was cleared up by draining the excess liquid the next day after the soup settled and before I pureed some of the beans to thicken the soup. My other concern or note is that the beans taste a bit chewy, in that i feel like we are chewing on the black-bean skins in a way that I've never noticed before when I made this soup in a regular pot on the stove. I soaked the beans for about a day - not a full 24 hours. The chewiness factor is minor, just something different about the soup. The recipe was one I usually use -w/the addition of using a jar of one of my canned salsas for a flavor boost and "short cut". I also used a food processor to dice/mince my vegetables as a short cut method. The veggies were very finely minced - which is fine as you want them to be more of a puree than a stew-like soup. After the soup is done, I usually mash or puree some of it anyway, so that it's thickened and more uniform in texture. Soak Black Beans & rinse, set aside. Heat the instapot by using the saute mode. Heat the olive oil then saute the aromatics (onions-garlic:in the InstaPot until any water they give off evaporates & the veggies take on some colour - about 10 minutes. Next, saute the dried seasonings to bloom their flavor, stirring to incorporate - 1 minute. Add in the black beans, cilantro, water, lime juice & zest, and jar of salsa. Bean or Manual Mode- 15 minutes. Natural Pressure Release for 15-20 minutes, then carefuly vent the valve before opening the lid. Once the lid is off, carefully mash or puree or use an immersion blender to puree some of the soup so that it thickens. Taste and adjust seasons with salt, hot sauce, ground pepper and/or a dash of olive oil. Soup will improve in flavor after a day. Makes about 8-10 cups. If the soup is too watery, strain off some of the water, after letting the soup sit and the vegetables settle to the bottom of the container. If the soup is too thick, thin w/a bit of water.